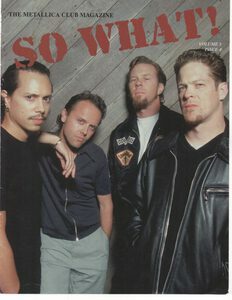 Click here or the image to download the full Metallica Club Magazine SO WHAT! Volume 5 Issue 4. Happy Reading. Magazine, Metallica, Metallica Club, SO WHAT!